This light is bright and light to hold. Set the table with glasses, and put your glasses on. Light or light? Glasses or glasses? 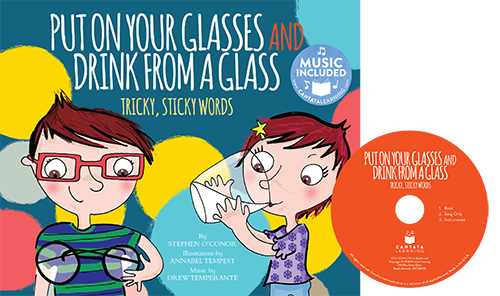 This sing-along picture book celebrates tricky, sticky words that look and sound the same but have two different meanings. This playful song about homonyms will have young readers clapping and giggling along as they think about familiar words in a whole new way. This hardcover book comes with CD and online music access.